Happy Anniversary Kathleen and Stan!! 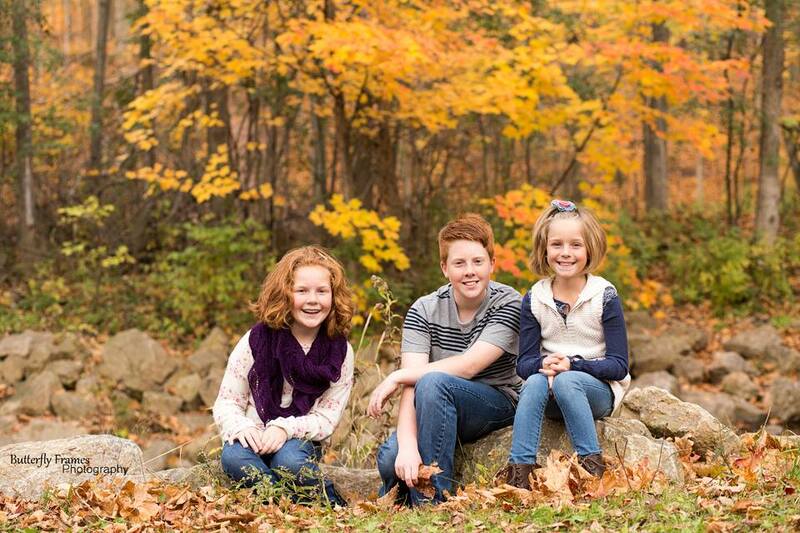 We just want to give a shout out to our Aunt Kathleen and Uncle Stan who live in Madison. They are celebrating their wedding anniversary today. They are leaving tomorrow for Hawaii. Lucky dogs! Anyway, they are an amazing and fun couple to hang out with! We always have a ball when we visit Madison. Here are a couple cute pics from our trip to see them last weekend. On Thursday night I took Meggan to her first "real" ballet. The Fox Cities Performing Arts Center (PAC) had a one night appearance of the Cinderella State Ballet Theatre of Russia. Meggan's ballet class offered the opportunity to go see this. Since the girls are in the process of practicing for their recital in May. Which we are so excited to see. Anyway, from the moment we walked in and started watching I could not believe how mesmerized Meggan was by the "movie". Even though she knows it is live she still calls it a movie. She also did not quite get why they were not speaking the story. So, I explained they tell the story thru their dancing. By far her favorite things from the revue were the 1) Fairy that wore a beautiful Red tutu (brightest tutu in the whole show) GO FIGURE! and 2) The Trolls because they were funny in how they danced. The trolls were in place of the mice which are in the book. Anyway it was a great experience and we can't wait to take Meggan and Jack to see Wicked in a couple weeks. Boy they sure are privileged kids to go to these kinds of things. Tunnel to a warmer place, PLEASE!! We heard on the news that up here in Cheesehead land we have gotten approximately 54 inches of snow all together. So, I have been meaning to take a picture of our snow bank to give you all an idea of what that means. Since I don't think I have ever experienced that much snow. HA! So, yesterday Chad and Jack started working on a tunnel in our snow bank. I asked if th tunnel is going to take me somewhere warm. But, I suppose you know what the answer to that question was. Please say a prayer for Chris Diez. He is Julie's (my sister-in-law) brother-in-law. Right before Christmas he found out he has 2 brain tumors. Originally they were not going to operate, but there have been some changes that they have decided to do the surgery. Please take a moment and keep them in your prayers. In addition, to this Wendy, Julie's sister, just gave birth by C-Section last Saturday to their daughter, Claire. They also have a son Ian. Please keep them in your prayers. So this afternoon the girls dumped a cup of water while eating lunch. I had warned them about this and that the cup was going to fall and they just laughed at me and said "No.". So, then sure enough they were messing around and it spilled, so I put them on the Naughty Step. So, I am sure you are saying to yourself why would you take a picture of them on the step. I had to because they found it so funny to be sitting there together. It was a Kodak moment. We have just started introducing Ally to this process of being warned and then Naughty step if they don't listen to the warning. Yeah, it is not going so well. She gets up and walks around every single time. I have to say it is much funnier watching Chad try to get her stay on this step. Last night we went to our friends house across the street. When we went over there was no rain just lots of snow still. We left their house about 3-4 hours later and the ground was COVERED in ice. I am not kidding! There was not an inch of ground that did not have ice on it. So, that made for an interesting walk home. I was initially holding Ally's hand walking. She kept flying out so I finally picked her up and carried her. But, I had to walk along their garage (looking like an 80 year old) so I would not fall. Then I was able to walk thru the snow with the ice much easier. Jack and Meggan were not as lucky and ended up falling while they walked home. So, I was getting a nice dinner ready and she decided we needed to have cake with dinner, so I let her bake something. Originally we were just going to do one cake, but Jack wanted to make something too. So, we did a 2 layer cake. Of course we had to use the pink frosting that came with it and the flower confetti. How lovely! 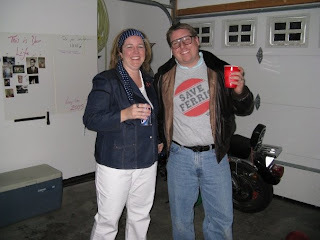 For New Year's eve our neighbors, Heather and Mitch, had a decades party. It was a good time and a lot of great pics came out of. You can view the pics in the slideshow at the right. But, here is the pic of us prior to going to the party. And for the record we went out to dinner dressed like this. Of course, Chad thought I just looked like a mom from the 70's. Oh well! I tried. I even straightened my hair. Sweet little Meggan put on a princess dress she got for christmas. It looked so sweet on her. Of course Ally wanted to get right in there and dress up, but all we had for her at that moment was a Teletubbie costume. HA! Today is my brother, Scott, birthday. We wish him a great birthday and hope this next year is a great one for him!! !